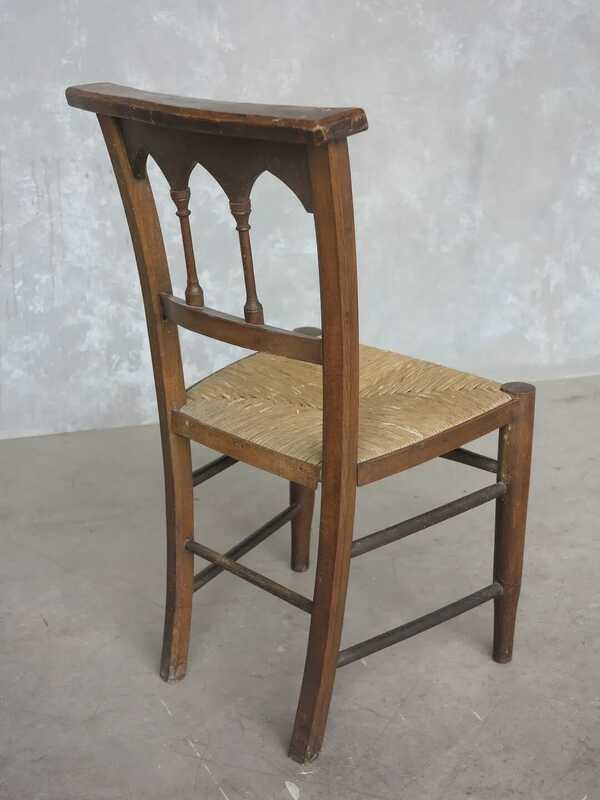 Excellent rush seated chair - Circa 1880. 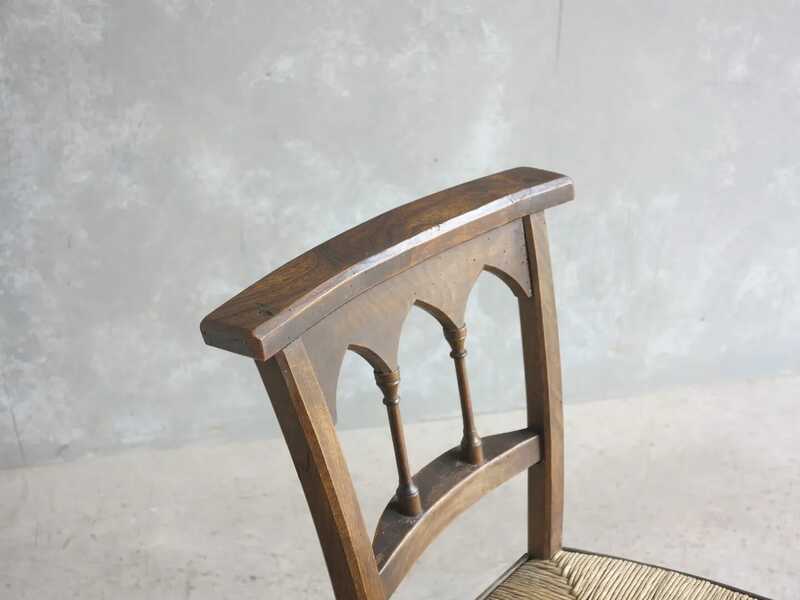 The seat height is 16 ¾" the width at the front of the chairs is 16 ½" and the overall height is 32". 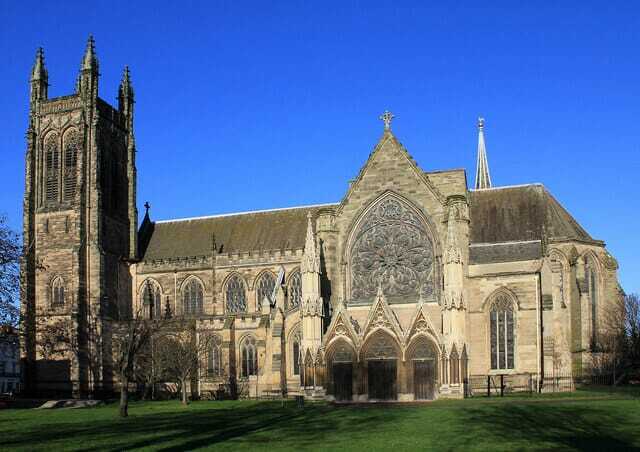 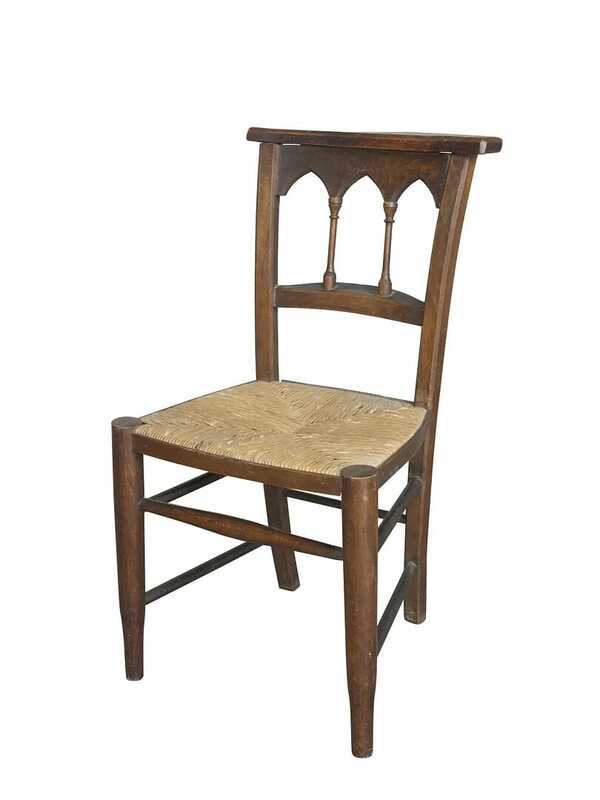 This chair came from All Saints Church - Royal Leamington Spa. 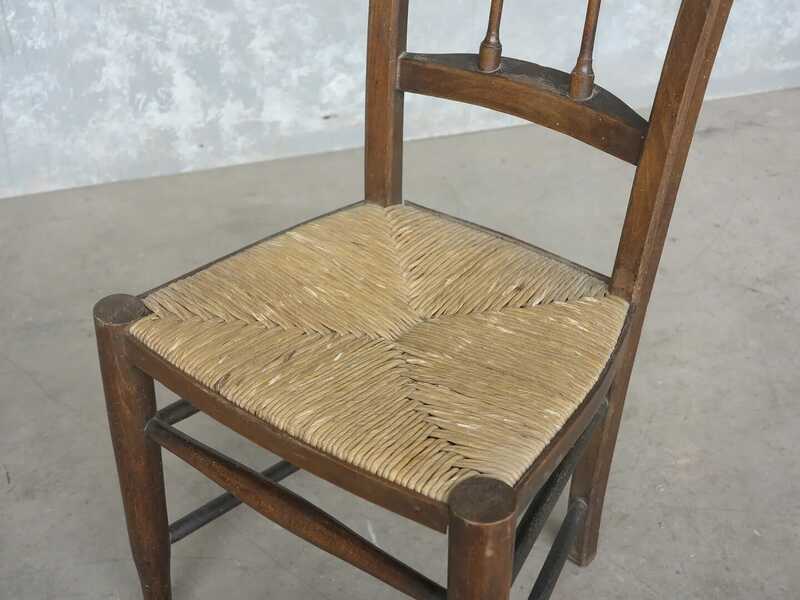 The chairs have signs of old woodworm we have treated this again as a precaution. 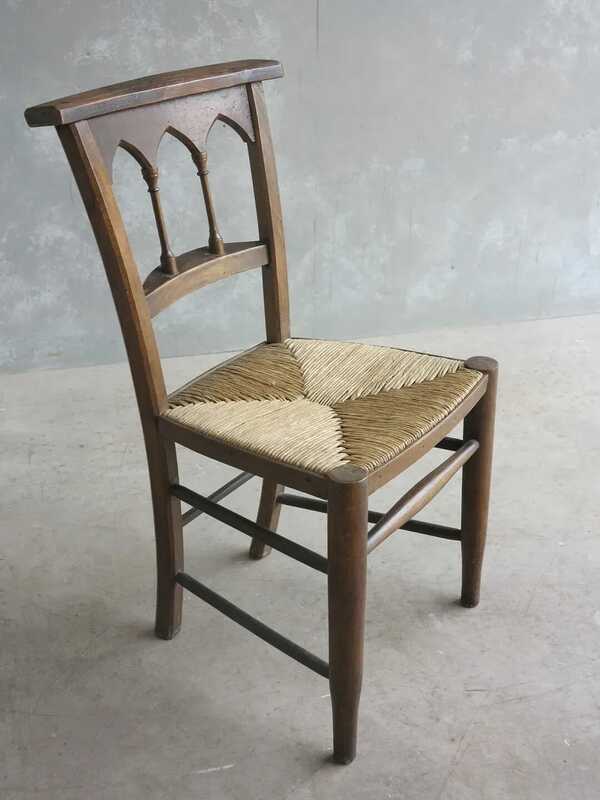 These chairs are one of the best batches of church chairs that we have ever seen.